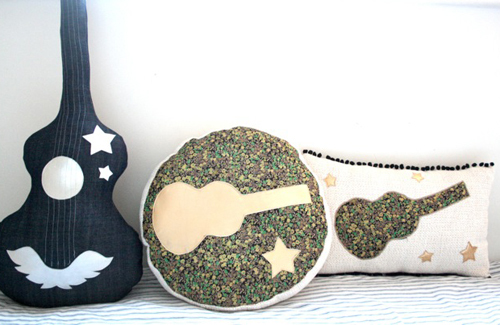 Add a bit of Rock ‘n Roll to your kids room (or living room..) with these beautiful guitar cushions/toys and poufs! 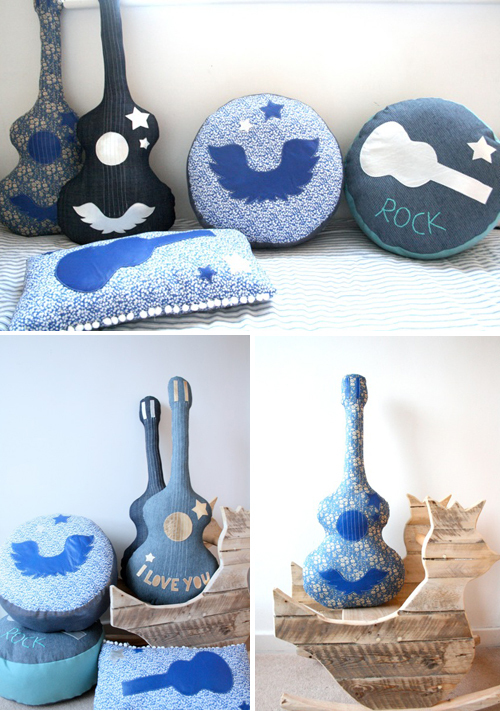 I am very happy to have these exclusive items by French designer Emilie Perez in Le Souk. 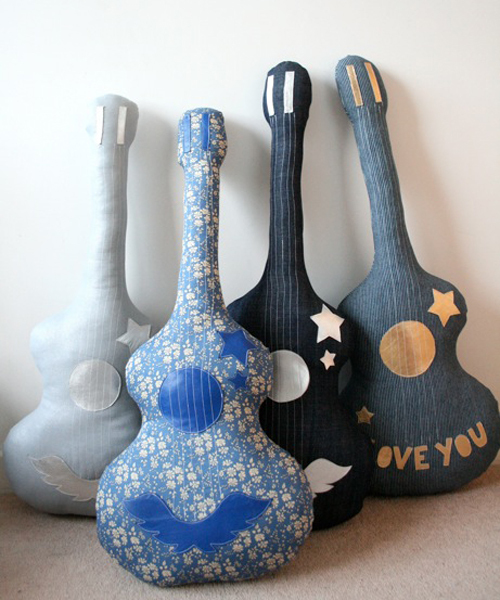 All items are handmade and unique. There is only one of each design available. I am loving the denim fabrics and the famous Liberty of London fabrics. This could be the right touch to go in my son’s room makeover. How fun! I just discovered your lovely blog. I’m just new into blogging & have just finished off my own blog on fashion & interior design. that so cute, want to have it.